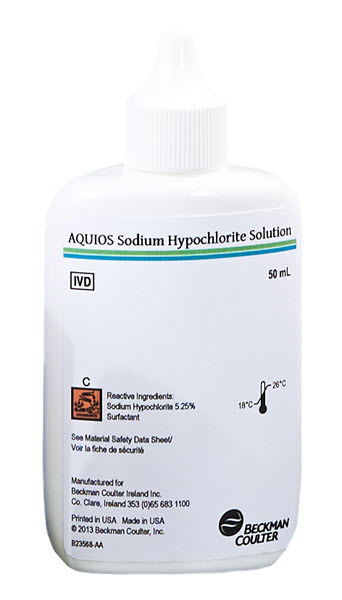 AQUIOS Sodium Hypochlorite Solution is a cleaning agent used as part of an AQUIOS flow cytometer system. The solution maintains AQUIOS instruments in optimal condition. Sodium Hypochlorite reacts with protein buildup in the instrument. It is used as a preventative measure for optimal system operation as well as for corrective measures.